I am not getting any younger and as the years keep going by I'm still angry. I wake up angry, I go to bed angry. When I step out into the world I'm angry. I'm angry at work. I keep saying to my self I wish I was never born. I didn't ask to be born. I hate myself, I hate everybody, I hate everything. But yet what I don't understand about me is all these negative feelings, yet I love to make people laugh. People tell me I'm funny, I should be a comedian. And I also like to do special stuff for family and friends. And yet I'm miserable as hell and angry at the world. I don't get me. The only time that I'm happy and feel good about myself like I can take over the world is when I drink. I'm tired of hiding behind the liquor--and the next day after the hangover I'm still the same miserable person. I am a loner, I live alone. My sister tells me I should be living under a rock and I should. If I didn't have to go to work I would be on lock down. How can you say I love you when you don't even love yourself? If right now I was to be granted one wish that wish would be to be happy like that song. I want to know what love is. I want you to show me. That would really be winning. Hello David, and thanks for telling your story here. I hear you loud and clear, that you are tired of being angry and you want to be happy. I will try to help. First thing is you've got to quit drinking. It's clear from what you've written here that you are an alcoholic. In your words, drinking is the only thing that makes you feel good, and you are tired of hiding behind the liquor. That's why I say you're an alcoholic. Read this page on alcohol abuse, and follow the recommendations. You will not have any success at all in managing your anger or being happy until you get sober and stay that way for a while. Then you can (and need to) begin some emotional healing and anger management. You can do this, David, if you set your mind to it. Believe in yourself, get sober, and then start your emotional healing. 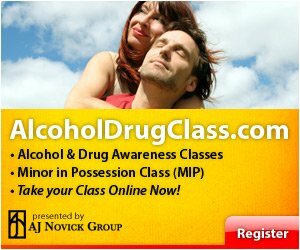 There is an online alcohol treatment class described on the above linked page that will be helpful to you. Take action now.